Pasta and seafood seem to be a pretty good match. It’s not uncommon, for example, to find some fried shrimp in an alfredo dish. 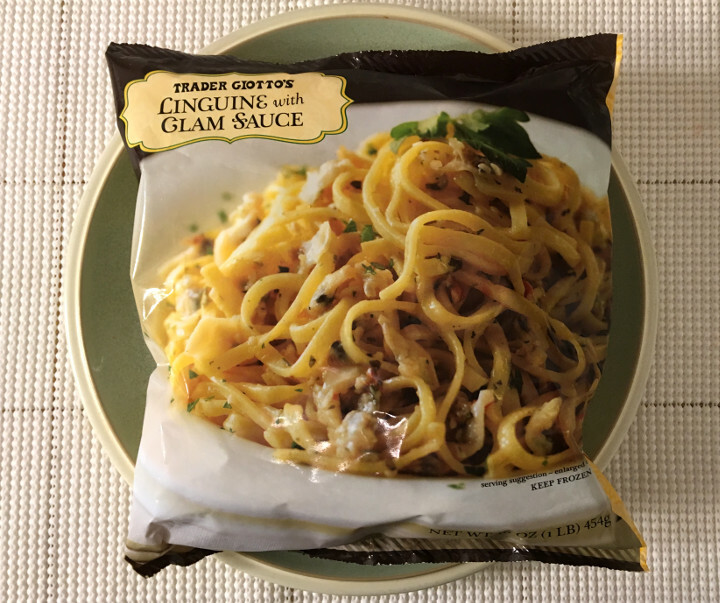 So when we saw that Trader Joe’s took a linguine dish and added clam sauce, we were instantly curious to see how that would taste. 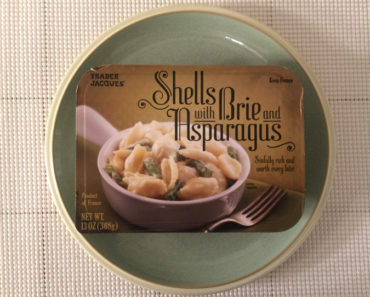 So today, we’re diving into the Trader Joe’s Linguine with Clam Sauce, and we’re very excited. 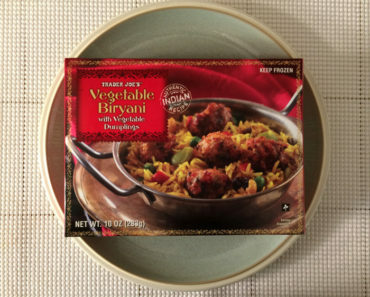 This dish is exceptionally easy to make, whether you choose to heat it on a stovetop or in the microwave (to see the full cooking instructions, check out our package scans at the bottom of this article). We used the stovetop, and the whole thing took less than ten minutes (we weren’t timing it, but we’d estimate it took us between six and eight minutes from the time we fired up the burner to when we had the pasta in a dish, ready to be eaten). 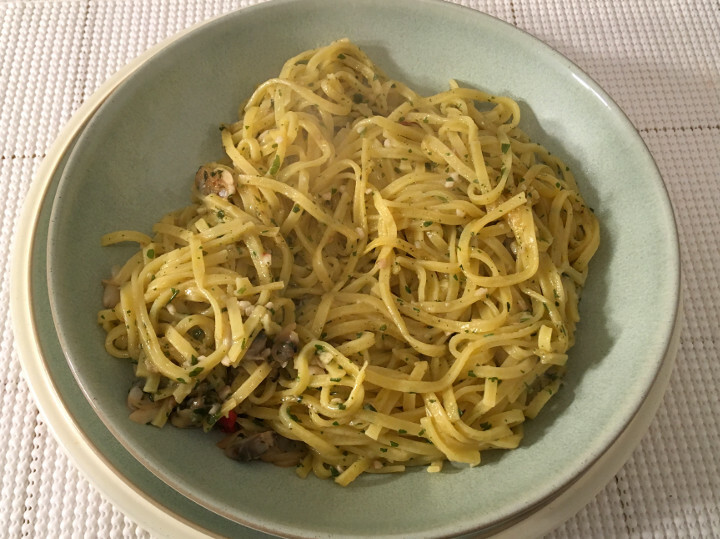 We should point out that clam sauce is not an uncommon topper for linguine, and it comes in both red and white varieties. 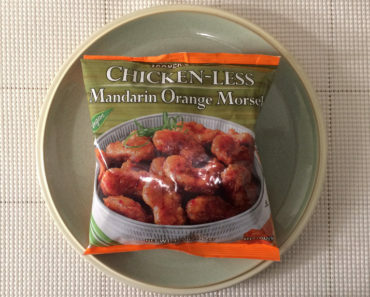 The dish we’re reviewing today ha what we’d call — um, well, we guess it’s more like a brownish clear sauce. The clam sauce actually has a pretty subtle flavor. Don’t get us wrong, this is a very, very clammy-tasting sauce — your seafood-hating friends aren’t going to enjoy this at all. 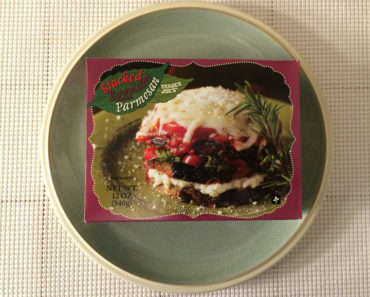 However, the flavor sort of sinks into the background in this dish, and we think that actually works in its favor. For anyone looking for a more potent mouthful of clam, however, there are bits of actual clam mixed in. When you get one of those in your mouth, you’ll be getting a pungent blast of clam flavor. Since the clam pieces sift to the bottom of the dish, your final bites will probably be the most potent ones. 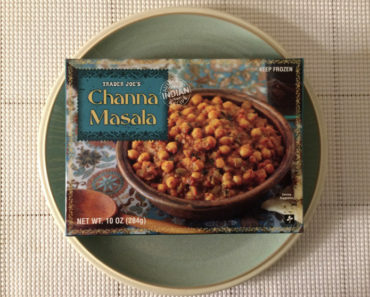 There’s not much else to talk about here — this is a pretty simple dish. You’ll find the occasional bit of red pepper and smatterings of parsley and cilantro, but this is a dish that’s all about the clam. 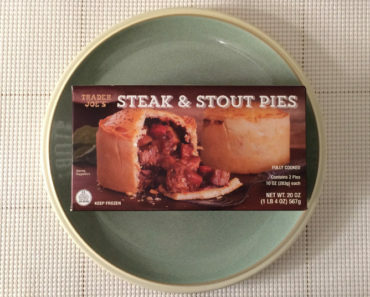 Trader Joe’s claims there are about three servings in a package, and each serving contains 180 calories (35 from fat). That means if you eat a full bag in a sitting, you’re looking at 540 calories (105 from fat). And believe us, that’s incredibly easy to do. 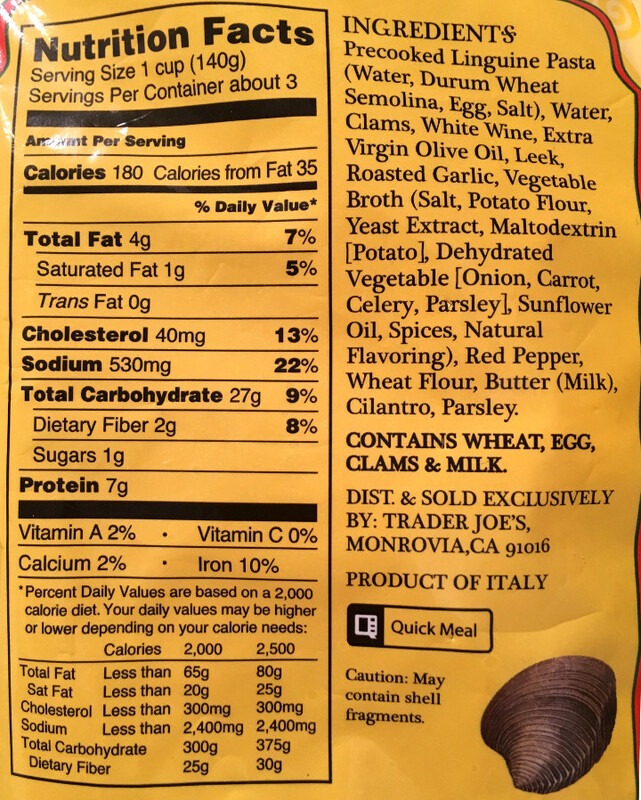 The picture a few paragraphs up shows what a full bag of this pasta looks like in a dish. It’s a big serving, but definitely not unrealistic for a hungry adult. The Trader Joe’s Linguine with Clam Sauce is pretty good. We actually prefer their Fettuccine Alfredo with Grilled Chicken over this particular frozen pasta dish, but we know die-hard lovers of seafood will disagree with us. 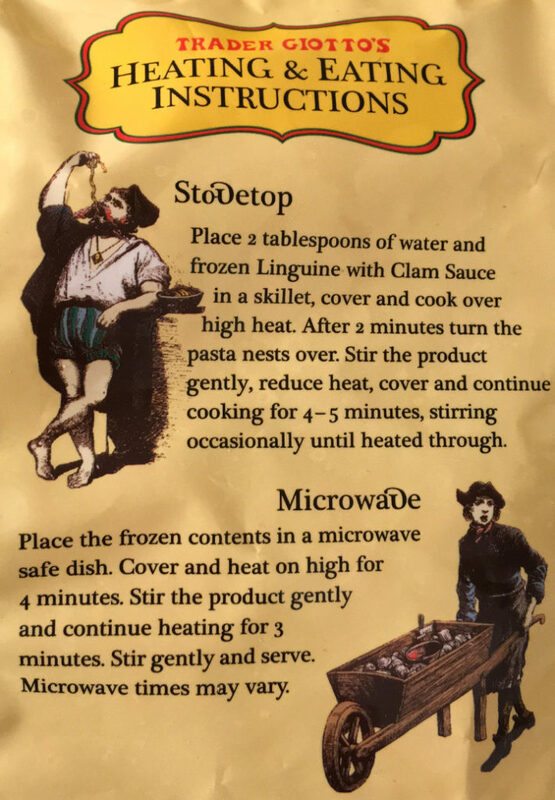 To learn more about the cooking instructions, nutrition content, or ingredients for this Trader Joe’s frozen pasta dish, check out our package scans below.